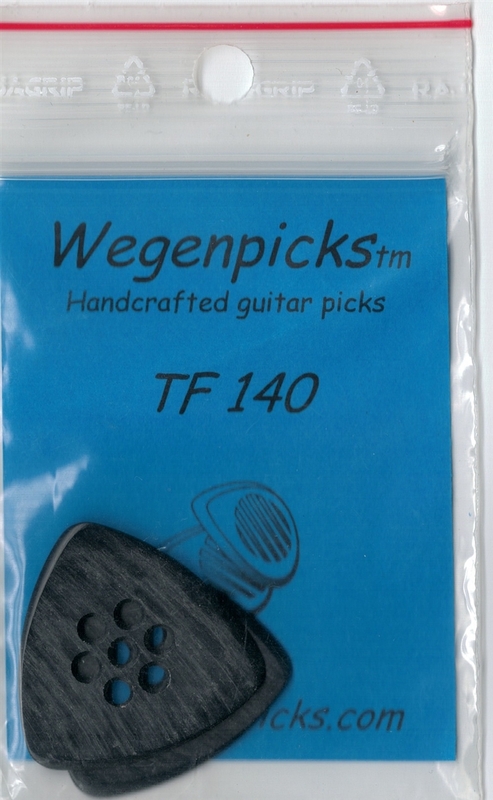 Triangle shaped flatpick with dual beveled-edge tips for right-handed players. Also has 7 holes in a circular pattern for grip. This triangular cousin of the Wegen Bluegrass pick offers great balance, feel, sound and wear. The ultimate in control for the discerning picker.